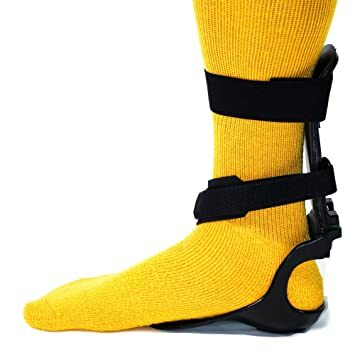 AFO Devices - Any recommendations? I wear a Walk On Flex from OttoBock. I absolutely love it. It is pure carbon fiber that spirals up the back of your leg. The one that I had before was the Dymanic Walk with leaf springs and it broke about every 8 months because of the amount of running that I do. That being said I am going to be a field tester for the Spry Step Flex from Thuasne. Looking forward to seeing how it stacks up with my Walk On. Last edited by Ellie; 11-26-2018 at 06:54 PM.